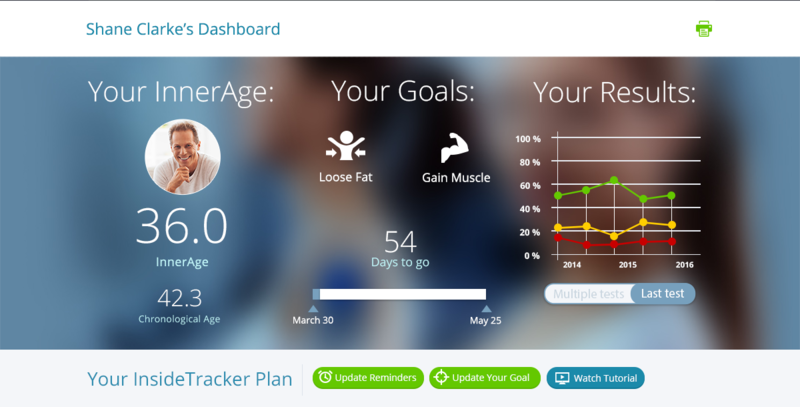 Here at InsideTracker, our goal is to put you in control of your health, wellness, and performance by giving you detailed information about yourself from the inside out. After all, #KnowledgeIsPower. But for some people, it might be too much information, too complex, and too hard to extract the key takeaways - exactly what you need to know to reach your goals. No worries! We've added a decision support tool that helps you find the 5 things to do out of 10,000 possibilities, that will help you reach your goals. In less than 5 minutes, you'll be on your way to total body optimization. Amazing, isn't it? We call it the InsideTracker Dashboard.